I recently returned from St Martha's 100th Anniversary Trip, France Magnifique. I have travelled with Collette before. The trip before this was excellent. I couldn't sing enough praises about our tour guide Kathy Fil. This trip however was not the same. The tour guide, Beth Meredith, could use some time management skills as well as compassion. I think the tour guide must take into account the group she has been assigned to lead. This particular group was mostly older adults, many with mobility issues. In our initial brochure it describes "moderate physical activity". That is so wrong on so many levels. Climbing to the top of Mont St Michel is hardly a moderate walk. Beth's favorite phrase during this trip was "just a short walk". I understand that many of the locations we visited or stayed at have historical value and a large tour bus can not park or even get near the entrance. So why does Collette choose these particular hotels and/or restaurants ? How can they expect older adults to walk a mile with their carry on luggage in the pouring rain on cobblestone ? Doesn't seem realistic to me. At some locations there was a van available to transport those who needed assistance. Of course, it could only take a few tourists. Many times, people who really did not need the assistance jumped into the van and left those who truly needed it behind. Most often, they would not offer a second vehicle. Also there was the issue of time management. Beth never allowed enough time to get from one place to another at our expense. We were denied entry into the restaurant on our first night in Paris. By the time we got to a restaurant, it was after 9:00 pm and we had been up for for over 24 hours. Also because of this mismanagement of time, quite often we barely had enough time to eat lunch with the "free time" we were given. Restaurants in France do NOT hurry. If we were lucky, we were able to finish our lunch and get to the bus on time. There was never any time to explore the area we were in. In Lyon for example, we got to the hotel at 9:30 pm and we leaving early the next morning. In Avignon, we arrived in the evening, while it was pouring rain. The following day was our trip to Tarascon, the highlight of our trip to visit the final resting place of St Martha. If we went on that tour, we saw nothing of Avignon. Having us leave at 4:00 am to get to the airport was ridiculous. Our bags had to be out at 3:00 am. Why couldn't we have spent the last night in Marseille ? We were out for our final dinner together, it would have been easier to travel to Marseille after dinner than to be up practically all night. That brings up another point. Why aren't ALL dinners included ? This trip was not inexpensive. I have travelled on other group tours that ALL dinners were included. It seems we are getting less and less service for MORE money. This trip was supposed to be the crown jewel of St Martha's Centennial Celebration. Instead it was non stop chaos and disappointment. Having travelled with Collette before I expected better than this. I think I deserved better than this as did the rest of our group. I recentlyt returned from St Martha's 100th Anniversary Trip, France Magnifique. I have travelled with Collette before. The trip before this was excellent. I couldn't sing enough praises about our tour guide Kathy Fil. This trip however was not the same. The tour guide, Beth Meredith, could use some time management skills as well as compassion. I think the tour guide must take into account the group she has been assigned to lead. This particular group was mostly older adults, many with mobility issues. In our initial brochure it describes "moderate physical activity". That is so wrong on so many levels. Climbing to the top of Mont St Michel is hardly a moderate walk. Beth's favorite phrase during this trip was "just a short walk". I understand that many of the locations we visited or stayed at have historical value and a large tour bus can not park or even get near the entrance. So why does Collette choose these particular hotels and/or restaurants ? How can they expect older adults to walk a mile with their carry on luggage in the pouring rain on cobblestone ? Doesn't seem realistic to me. At some locations there was a van available to transport those who needed assistance. Of course, it could only take a few tourists. Many times, people who really did not need the assistance jumped into the van and left those who truly needed it behind. Most often, they would not offer a second vehicle. Also there was the issue of time management. Beth never allowed enough time to get from one place to another at our expense. We were denied entry into the restaurant on our first night in Paris. By the time we got to a restaurant, it was after 9:00 pm and we had been up for for over 24 hours. Also because of this mismanagement of time, quite often we barely had enough time to eat lunch with the "free time" we were given. Restaurants in France do NOT hurry. If we were lucky, we were able to finish our lunch and get to the bus on time. There was never any time to explore the area we were in. In Lyon for example, we got to the hotel at 9:30 pm and we leaving early the next morning. In Avignon, we arrived in the evening, while it was pouring rain. The following day was our trip to Tarascon, the highlight of our trip to visit the final resting place of St Martha. If we went on that tour, we saw nothing of Avignon. Having us leave at 4:00 am to get to the airport was ridiculous. Our bags had to be out at 3:00 am. Why couldn't we have spent the last night in Marseille ? We were out for our final dinner together, it would have been easier to travel to Marseille after dinner than to be up practically all night. That brings up another point. Why aren't ALL dinners included ? This trip was not inexpensive. I have travelled on other group tours that ALL dinners were included. It seems we are getting less and less service for MORE money. This trip was supposed to be the crown jewel of St Martha's Centennial Celebration. Instead it was non stop chaos and disappointment. Having travelled with Collette before I expected better than this. I think I deserved better than this as did the rest of our group. Thank you for traveling with Collette to France and we're very disappointed to hear about your experience on tour. Your feedback and the feedback from your group has been reviewed internally. We have issued a monetary refund, travel voucher and letter of apology to everyone in your group as a customer service gesture. Our trip was truly "Magnifique"! From the first night's boat tour of the Seine to the very emotional mass in the crypt of St. Martha in Tarascon on the last day. we were excited about each day's activities. Our tour guide, Beth, was exceptional, always pleasant, dealing with every situation with patience and grace, often sharing her incredible knowledge of the countryside as we passed towns not included on the tour en route to our next destination on our bus. Her guided tours were amazing: her grasp of the language, the customs, and the country's history and sights was encyclopedic! The coach was always clean and comfortable, as were our hotel accommodations. The included group dinners were delicious, but we also enjoyed having a few evenings on our own to explore the city we were visiting and its cuisine. On the trip, which included many couples we already knew, we strengthened old friendships and were blessed to create new ones. Thank you for 12 days we will always remember! Our favorite memorable experience is hard to pinpoint. We enjoyed everything on the tour. The highlight was our once in a lifetime visit to Tarascon, where our pastor was able to celebrate mass for us in the crypt of St. Martha. It was an emotional experience that we will never forget and feel so very blessed to have experienced. Our tour highlights also would include our 2 days in Normandy, at the WWII sites. A personal highlight was being chosen to assist the chef at our final night's dinner as he made creme brulee - such fun! Everything went smoothly. Tour manager was knowledgeable. Tour was as described and visit to Tarascon which is St Martha’s burial place was nice visit. Delivered what was promised in a superb manner! Good value for the money - saw a whole lot of France for reasonable money! Really moved by visiting Normandy! Our France Magnifique tour provided us the most satisfying trip we have ever had in Europe, and it was our first tour with Collette. Our tour director, Jeff Mullen, was amazing throughout. he was knowledgeable, professional and warm. He was especially attentive to the special needs of those few guests who were dealing with physical challenges. 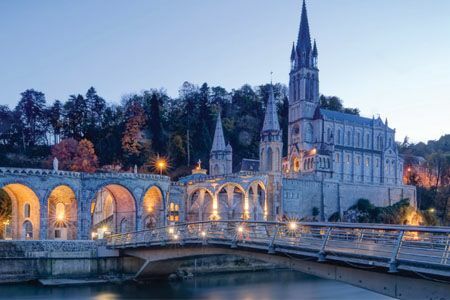 The itinerary of the tour was perfect, with some time at locations from Paris, through Normandy, the Loire Valley, Provence and then south to the Riviera. Almost all of the hotels were excellent. The tour did seem more active than was advertised. (Most agreed that the activity level was more than moderate.) While this tour was nicely sized with 29 guests, I was surprised to learn that some Collette tours may have as many as 47 guests--which would explain the rather tight seating on our bus. (That is well more than I would be comfortable with on future tours.) In addition to having smaller tour groups and roomier busses, I would suggest that Collette buses provide phone charging ports (since most use phones as cameras) and perhaps WI-FI, which we did not have in France. Tour guide was wonderful. Documents were in order. France Magnifique was truly Magnifique! , customer service was very helpful, knowledgable, and polite when getting information and booking our flights We've always felt comfortable calling them We are not as comfortable using the website It is not always easy for us to find what we need so calling an agent is easier for us We definitely would recommend calling vacations to friends and acquaintances Our tour guide Jeffrey was thorough and organized and knowledgeable which made the trip even more enjoyable. Going with a small group of 15 made it much more personal We picked this tour mainly to see Normandie and château De Chenonceau. Our only disappointment was being too rushed at Chenonceau. We Thoroughly enjoyed this trip ! See above. The Normandie experience was most memorable . I was able to find a friend relative in the cemetery . Jeff Mullen was an excellent guide, he was totally prepared,organized, very well informed and fun!!!! the whole trip was memorable, no favorites! The Abby AT Fontevraud should be a guided tour stop...not an overnite visit. Because our bus was late getting there, no place was open for dinner ,and the grounds needed explanation . Too many self touring stops .We really appreciate the Palace of the pope's special guide. We had been there before,on our own,so we were wowed by his knowledge of the place. Mark was the best Tour Guide. Our Tour Guide couldn't have been better. We were lucky to be a group of only 10 and Mark took the opportunity to personally guide each of us. His knowledge was exceptional and he went out of his way to help those of us who had difficulty navigating the territory. The American Cemetery at Omaha Beach on Memorial Day and the top of Mount St. Michel were my favorites. On the negative side I wish I had known in advance that not all of the hotels were reachable by bus and required a long walk after a full day of touring. It was great being picked up at our home and taken to the airport when leaving for Paris (even though we left early). It was not as nice that we did not get transfers from the airport to our hotel once we arrive in Paris. Excellent tour guide and drivers. Good hotels and restaurants. However, would not provide us with transfers from airport to Paris, as we got to Paris several days before tour began and did not stay at hotel in which tour began. Had we stayed in the hotel in which the tour began during those few days, they would have provided us with transfers from the airport to Paris. They did make our airline reservations, so why should where we stayed when we were on our own before the tour began determine whether or not they provided us with airport transfers? Just seemed very petty and cheap. 2 days in Normandy to see D-Day sites was great, with time at the American cemetery and Omaha Beach being especially emotional. Also, time in several old walled cities was fascinating. When I received my tour confirmation there was a slight issue with my flight reservations. The Collette team worked diligently to resolve this issue to my satisfaction. My Tour Manager, Mark Godin, was AMAZING!. He was knowledgeable on all the sites we visited and he truly cared about the groups welfare. The French Railroad strike caused Collette to scramble but they came up with a seamless solution. Overall it was an amazing tour. This tour hit all the sites I had on my France bucket list. The hotels were conveniently located near restaurants and within walking distance of sites of interest. Well run tour. Itinerary great and well paced. We did not feel rushed at any time and the tour manager was pleasant and always helpful. We are so impressed with Collette, we will certainly be using them again, and again and recommending them to everyone. Overall a wonderful experience. The itinerary was more than expected. Mount ST Michael was the highlight for my husband, for me it was actually staying in Fontevraud Abbey, a dream come true. Tour director was fantastic! Visit at the Memorial Museum was way too long. Would there have been time to visit Monet's Garden which was on the way? Lavender farm was a commercial waste of time; I believe there were other sites nearby that would have been better. Excellent tour manager.Too much time at the Memorial Museum. A visit to Monet's garden would have been right on the way, too bad we missed it. Lavender Farm a commercial waste of time. Appreciated Beth changing our flights home--arrived safely with wonderful memories. A real tour of France! I think the tour was great. The skill set of our tour guide was exceptional, he spoke several languages, his English was clear and understandable. His preparation for the places we visited was by far one of the best ones we have been on yet. Our visit to the Normandy area was moving and educational. We have seen movies and read books, but the actual beauty is being on the beach and seeing where our brave soldiers fought and sacrificed for the French People and our liberties. On the next section I found all the accommodations really excellent, except for the first pre-nights (days). The Hyatt was under full construction and it was not possible to rest or stay inside during the day, forget about resting up after the long flight. But, this hotel will be ready for prime time by 2018! We enjoyed Normandy the most. Super tour of the Normandy area. Great tour of Normandy area and the Loire valley. Would not have been as good without the excellent guide, *personal details removed by Feefo*, who was very informative and entertaining. All our needs were met by him. Excellent tour manager, interesting stops and sites, some free time, most of the hotels were good, dinners provided were excellent, interesting group of people, good number at 24. The tour included stops at sites we were interested in seeing. The two sites most memorable were the Normandy Beaches of Dday and the wine tasting in Avignon. Simply put...a great tour of France. All aspects of the trip went very smoothly. Our tour guide *********** was an excellent organizer and was a wealth of knowledge about the areas we were visiting. I got the sense that she does a lot of research on the places we toured. She was a great cheerleader(?) of the French culture and that made the trip even more worthwhile. Enjoyed the whole trip. Paris was wonderful but Normandy was very emotional. Paris and Normandy were worth the trip. We loved Fountainbeau the home of Kingsand Napolean. This tour was incredible ! We saw everything we wanted to. The pace was perfect with nice balance of group versus free time. However, the Versailles tour should be included. $100 extra for that was way out of proportion for actual cost. Seeing these chateaus is what we expect ! Saint Malo was just breath-taking ! We enjoyed walking the ramparts of this walled city and the hotel was on in such a convenient location ! Every hotel was wonderful ! We love traveling with Collette! 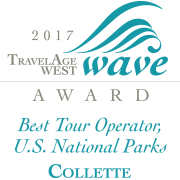 Collette staff are knowledgeable, courteous, and extremely helpful as they help us plan our trips. Seeing the American and German cemeteries from WW11 were profound and moving experiences never to be forgotten. I think that the itinerary was nice. I really loved going to Normandy. I now understand D-Day a lot better and I REALLY got a feel for the ultimate sacrifice that our soldiers made. I would point out to future guests that their is not a lot of souvenir shopping until you get to Avignon so they dont get frustrated the whole tour trying to figure out where to get souvenirs. I don't think France is big on selling touristy things in general. Please make sure the tour manager points that out. 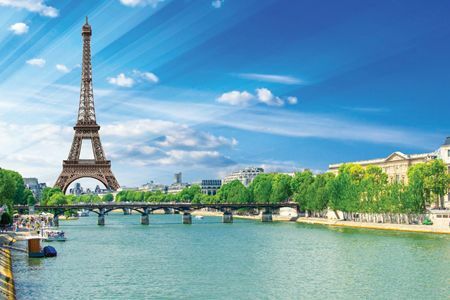 Enjoy our France tour and bask in its rich history, art, culture and romance of its celebrated cities and charming towns. 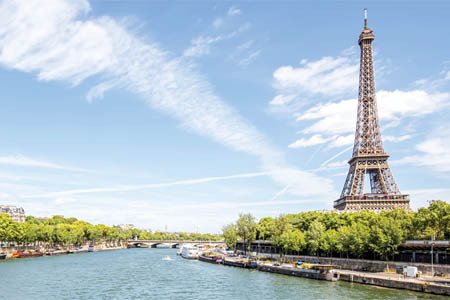 Revel in the allure of Paris on this tour, which includes its spectacular sights, history, architecture, art, and of course, fine food and wine. 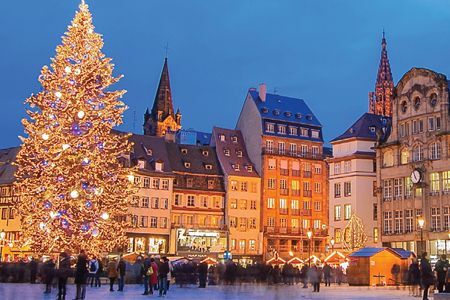 Sip mulled wine and collect unique hand-made crafts while visiting some of Europe's most famous Christmas markets on a journey filled with holiday cheer. The soul of France thrives in the South. 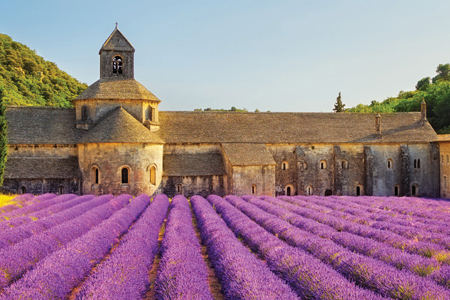 Toast "à votre santé" in the vine gilded regions of magical “le Midi.” From Bordeaux’s wine country to the lavender fields of Saint Rémy, fall under the heady seduction of Southern France’s colour, culture, and flavour. Single accommodations are limited and are available on a first come, first served basis. Triple accommodations are not available due to hotel restrictions. Included breakfasts are French buffet breakfasts. Our air passengers will depart from Marseilles airport. 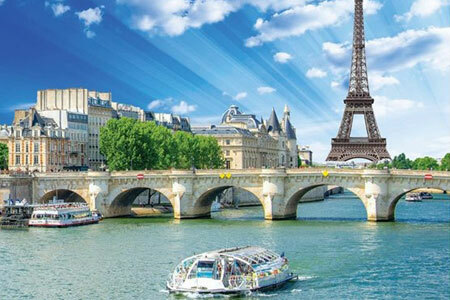 All departure transfers will depart from Avignon to Marseilles airport.